It is the Year of the Snake in Chinese reckoning. Above is a very old Greek bas relief of Demeter, who became Ceres in Rome, the Goddess off nature and the cycles of nature that produce, ultimately, the grains (she hold wheat in her hands) that sustain life. Just a few days ago, on Valentine's Day, women around the world danced and demonstrated against violence toward women for Eve Ensler's One Billion Rising. 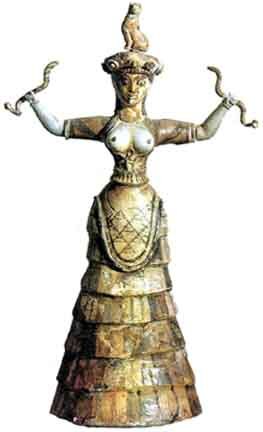 In the old kingdom of Egypt, the word for "snake" and the word for "goddess" was the same. 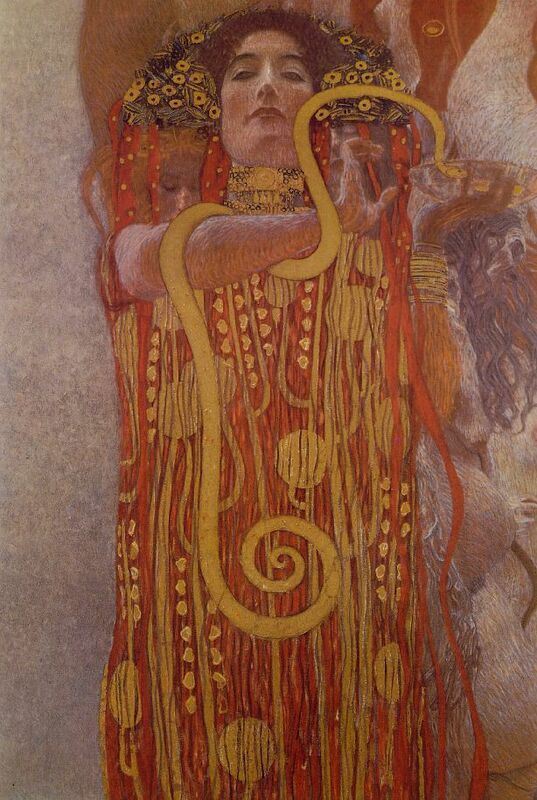 I cannot help but reflect, seeing the image above, that what is rising in Dawn's Cauldron is a snake, the ubiquitous symbol in the ancient world for the serpentine energies, the winding waters and cyclical seasons of the Goddess, of Mother Earth. 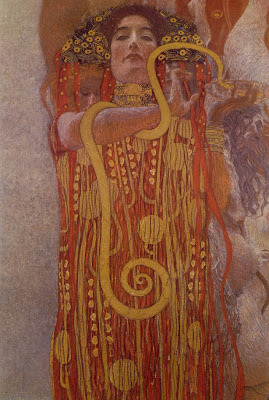 Snake may have been diabolized in the Bible, but elsewhere snake is an ubiquitous symbol for the feminine divine, the interwoven forces of nature, for healing, and in the East, "Raja Naga" is associated with Tantra, the snake of the Kundalini force of generation and sexual/spiritual union. Snakes received a bad rap in Biblical terms, with the "fall from grace" occurring because snake (sometimes identified with Lilith) tempted Eve with an apple. Which is too bad indeed, as the life/death/rebirth cycle represented by snake, whose shedding skin is a symbol of regeneration and rebirth, is among the most primal metaphors. 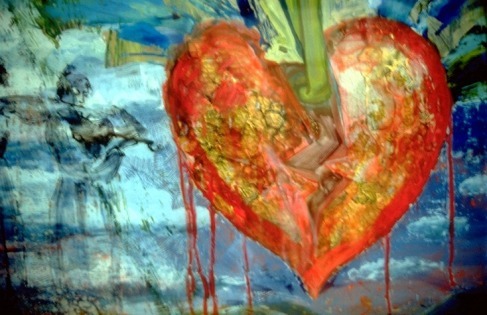 The Biblical "Fall from Grace" of Eve, and of Snake, represents the fall from grace with nature we have inherited which at this time in hisstory is becoming catastrophic. Yet the old origins of Snake Medicine are still to be found everywhere, for example, in the ubiquitous symbol of pharmacology, the Chalice and Snake of the Greek Goddess Hygiea. 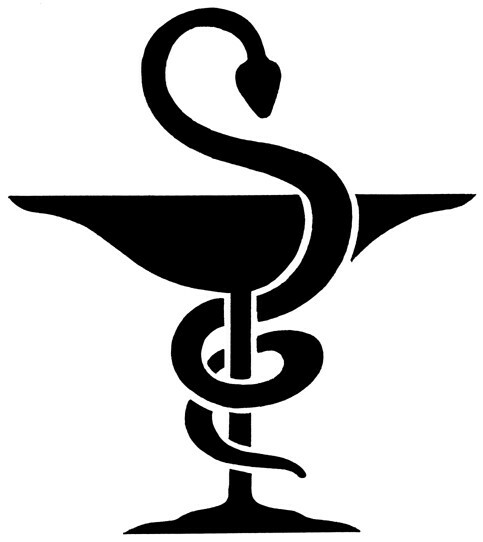 The “Bowl of Hygeia”*** is the most widely recognized international symbol of pharmacy, along with the snake entwined staff of the healing God Aesculapius (and there, by the way, you find the "chalice and the blade", the male and female symbols entwined with the powerful creative force of the rising or entwined Kundalini. All over Walgreens.) The pharmaceutical association doesn't see it that way, but rather describes the universal symbol as "Hygeia's classical symbol was a bowl containing a medicinal potion with the serpent of Wisdom (or guardianship) partaking it. This is the same serpent of Wisdom, which appears on the caduceus, the staff of Aesculapius, which is the symbol of medicine." Snake is good MEDICINE. apparently, and the conversation in the garden of Eden may have been misunderstood! In ancient Egypt, in the earliest of iconography, the word for Cobra and for Goddess were virtually the same. The Uraeus (from the Egyptian jʿr.t (iaret), "rearing cobra") is the upright form of a cobra used as a symbol of royalty, deity, and divine authority in ancient Egypt. The Uraeus was a symbol for the goddess Wadjet, one of the earliest Egyptian deities. She was the patroness of the Nile (and here again one sees the personification of the serpentine movements of water identified with snake and with the feminine).. The pharaohs wore the Uraeus as a head ornament: either with the body of Wadjet atop the head, or as a crown encircling the head; this indicated Wadjet's protection and reinforced the Pharaoh's claim over the land. There is evidence for this tradition even in the Old Kingdom during the third millennium BCE. So I reflect, as we enter the year of the snake, 2013 (thirteen is another ancient feminine symbol or number that has been diabolized by patriarchal process - there are 13 lunations or menstrual cycles in a year, thus, the magic number 13, sacred to the Goddess Freya, becomes "bad luck" on Her day, Friday the 13th)......that perhaps the rising now is the arising of the Goddess in our world, the Goddess that rises practically with feminist activism, and spiritually with reverence for the Earth, and for the universal source of life. Snake has so much to teach us.........here's to her arising in the Year of the Snake! ***"The “Bowl of Hygeia” symbol is the most widely recognized international symbol of pharmacy. In Greek mythology, Hygeia was the daughter and assistant of Aesculapius (sometimes spelled Asklepios), the God of Medicine and Healing. Hygeia's classical symbol was a bowl containing a medicinal potion with the serpent of Wisdom (or guardianship) partaking it. This is the same serpent of Wisdom, which appears on the caduceus, the staff of Aesculapius, which is the symbol of medicine." My friend Denita is an artist, teacher, and psychologist who specializes in helping others access their deep creativity. Recently she wrote this article for AY Atelier Art and Art 4 All People, and gave me permission to reprint her article here. 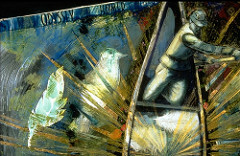 You can have a look at her art as well here. Thanks Denita! 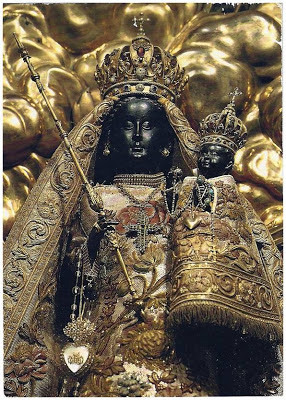 Although I am not Catholic, nor grew up Catholic, I have always been fascinated by the Black Madonna, and by the many pilgrimages, some that go back a thousand years or more, to revered Black Madonna shrines throughout Europe. 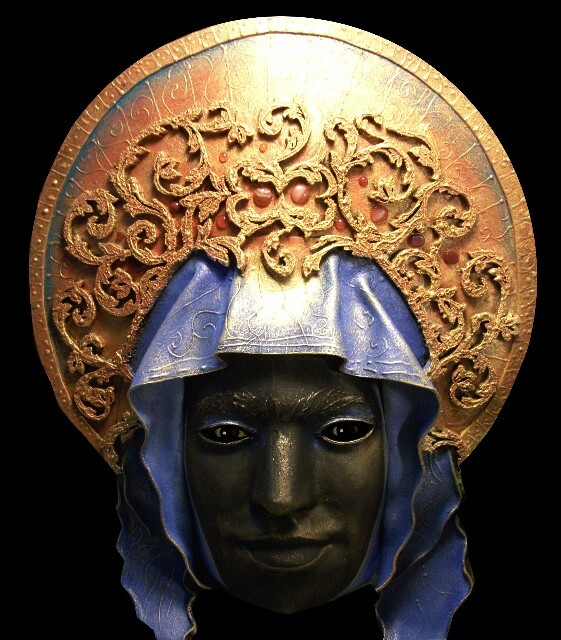 Many believe that the origins of the Black Madonnas are in earlier Isis icons, which were ubiquitous in Rome and elsewhere in the very early days of Christianity (Paris is derived from the name of Isis, "par Isis", city of Isis). Certainly, if this is true, pilgrimage to the Mother of the Son of God is much the same as was the pilgrimage, once, to Isis, Mother of the Sun. 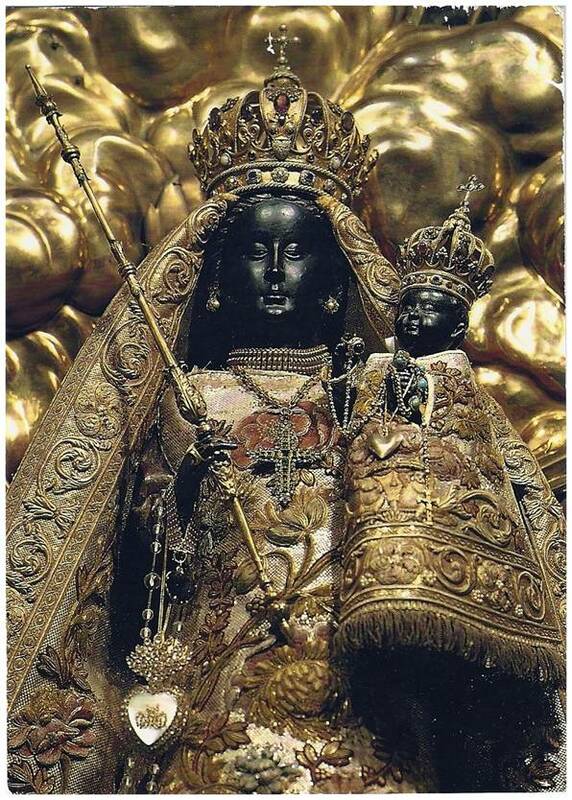 But there are others, including myself, who see the Black Madonna as possibly representing the ancient Earth Mother. In the middle ages, black Africans were rarely, if ever, seen in Europe. The blackness of the Madonnas may represent the black and generative earth, the source that is the womb from which all life comes. 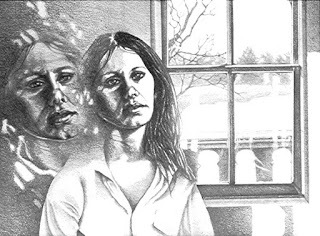 Back in the late 80's I belonged to a group that explored past life memory through group hypnosis (using tapes by Robert Monroe and the Monroe Institute), as well as individual sessions with a therapist. Many of the "regressions" were like film clips - I observed what was happening, without entirely understanding what the meaning of the scenes I saw meant. What was convincing about the experiences I had was how very mundane most of them were. I have a good imagination, and unconsciously or in a dream state can no doubt invent colorful stories about Atlantis or ancient Egypt. But my regression sessions were none of that. A young soldier in some middle eastern time or country, whose most treasured experience was drinking beer with an admired captain, shortly before being speared and dying at the age of 17. 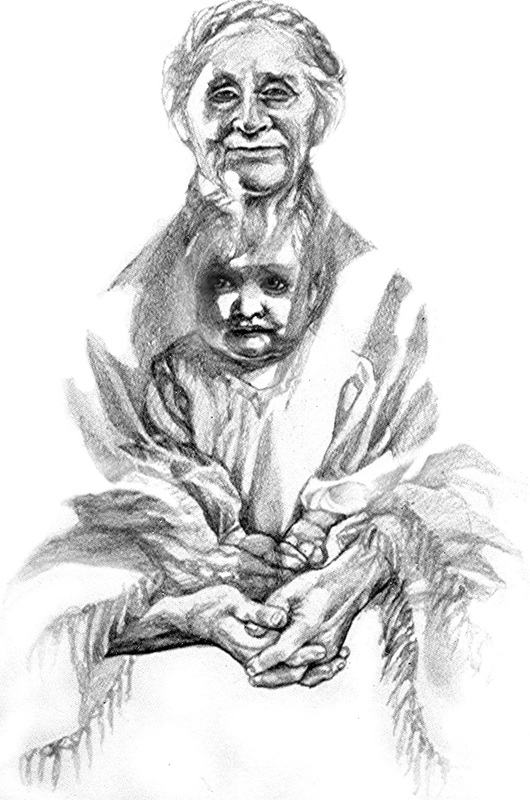 A life in the 1700's as a French nanny, always in service to people to whom she was invisible and disposable, never having anything of her own. (It is strange how I always found French pronunciation easy). Many of the regression experiences were, seemingly, lifetimes (as I think the majority of humanity has also had throughout the ages) essentially lifetimes with very little freedom, one way or another. It may be these "regressions" arose because of my need to work on these issues in this time. Freedom is historically a very new idea, and for women, slaves, and various ethnic groups to be included in the equation, an even newer idea........perhaps I needed to see these imprints in order to live a more empowered life. 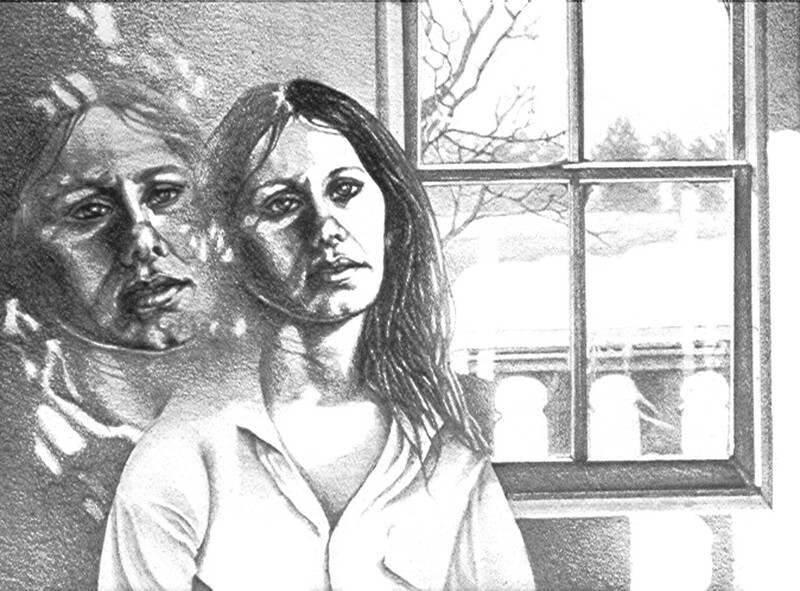 Not to sound completely grim - there were also some inexplicable, and beautiful, regressive visions as well. "I began this project wanting to make a documentary about the Afterlife from a spiritual perspective, with a number of points of view. When I came across Michael Newton's work ("Journey of Souls") I realized that if what he was saying was true, it was revolutionary. I set about to either disprove or prove what he claimed; that 7000 of his clients said the same things about the afterlife during a deep hypnosis session, before he'd published his first book. So I chose 15 different subjects and filmed them under deep hypnosis. And remarkably; the confirmed his research. There are interviews with a number of hypnotherapists who practice his technique - who are now in many countries around the world. (You can find a Michael Newton trained therapist near you at NewtonInstitute.Org). This is not past life regression - this is way beyond that, where a person gets to see why they chose their previous lives, why they chose this life and what the two have in common." I look forward to seeing the film, and applaud Mr. Martini for his work. Not a week goes by that I don't think of Glastonbury, England. I really felt at home there. 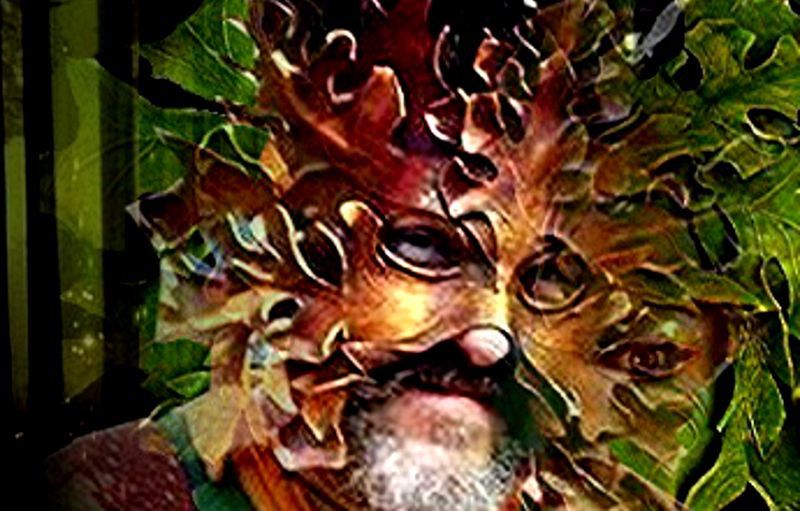 Fortunately, wise Geomancer Sig Lonegren keeps me posted on Glastonbury events. 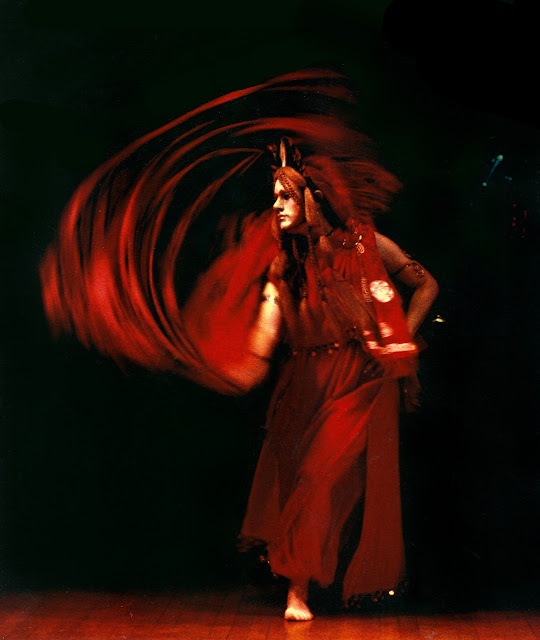 Here's what Sig recently wrote on his Blog about Imbolc. Time to begin to germinate those seeds! Thanks Sig! 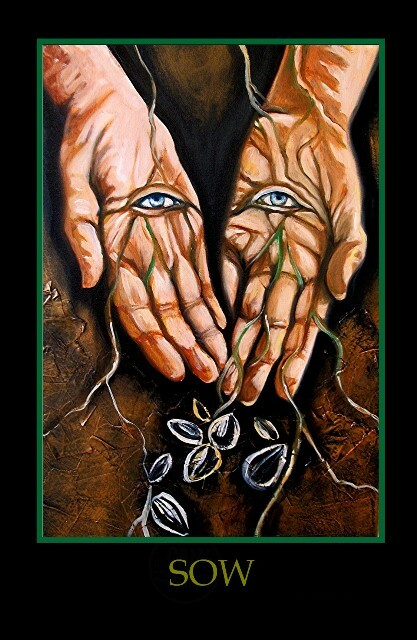 "Imbolc is that time of the Celtic yearly cycle when the seed that was planted at Samhain (1 November) and lies dormant through the dark of the winter, by throwing out that little cotyledon, moves by itself for the first time. It is analogous to the quickening in the human reproductive cycle. It has a life of its own. The ewe's milk starts running around this time, and on the Glastonbury Tor, which is astronomically oriented to the Imbolc sunset, Bridget is seen milking a cow. In Vermont, and underground chamber called Rodwin is also oriented toward the Imbolc Sunset. is one of the first of true veriy early spring flowers. Here in Glastonbury, the Pilgrim Reception Centre sponsored a new Holy Thorn (the old one on Wearyall Hill was vandalised). This cutting from the old Holy Thorn was planted several days ago at the Abbey Car Park next to a new World Peace Pole and a Glastonbury bench for visitors to rest on. Imbolc is the time when ideas or plans that have been lying fallow in the dark all winter are now ready to begin a life of their own. What projects have you been thinking about that are ready to begin to move, to manifest? 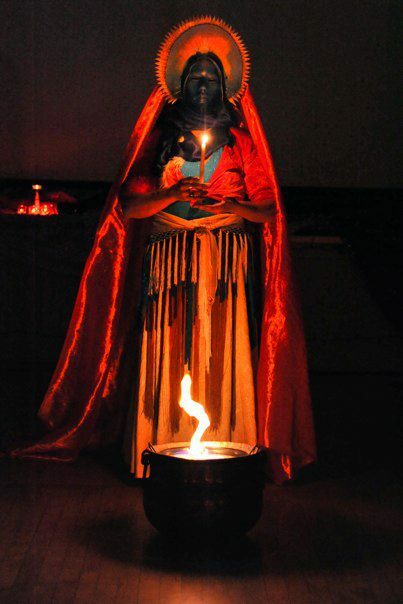 Use this time of Imbolc to feel that quickening, and ready to give birth? "BRIDGIT" danced by Linda Johnson. Photo by Thomas Lux. 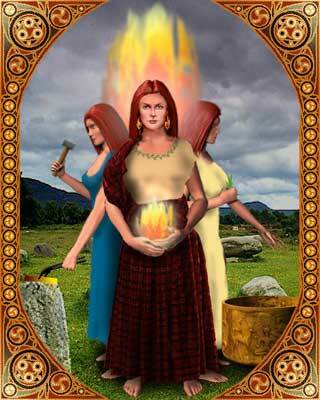 As it's IMBOLC, Bridgit's Day. I felt like posting my own "Bridgit's Poem" (1999), and the Hymn to the Sacred Body of the Universe as told by the wonderful poet Drew Dellinger. And the "Voice of Bridgit" by Diane Darling! 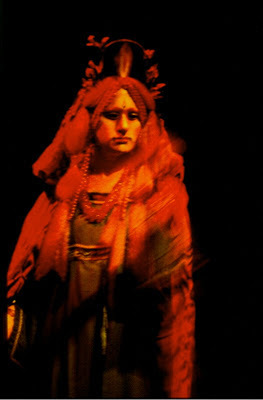 For I shall be abroad on Brigid’s Eve. Feel my hand on yours as you craft your lives. and rises to the light. by bird and bard and babe.